This guided imagery relaxation cd is designed to assist you in healing from the emotional pain of a relationship breakup. 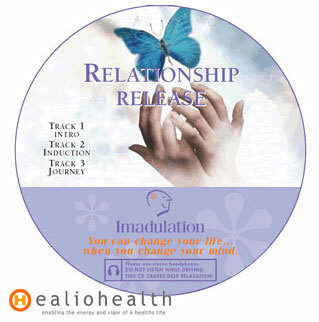 Guided Audio Imagery Relationship Release Relaxation CD - Imagine being thankful for and growing from your relationship breakup with guided imagery audio. The bigger picture and the eternal nature of love is explored as well as the importance of the most significant love of all, self-love, which acknowledges the divine within.